Venom, the newest Marvel superhero, is some different from others Marvel superhero. Some horrible, and some cute. 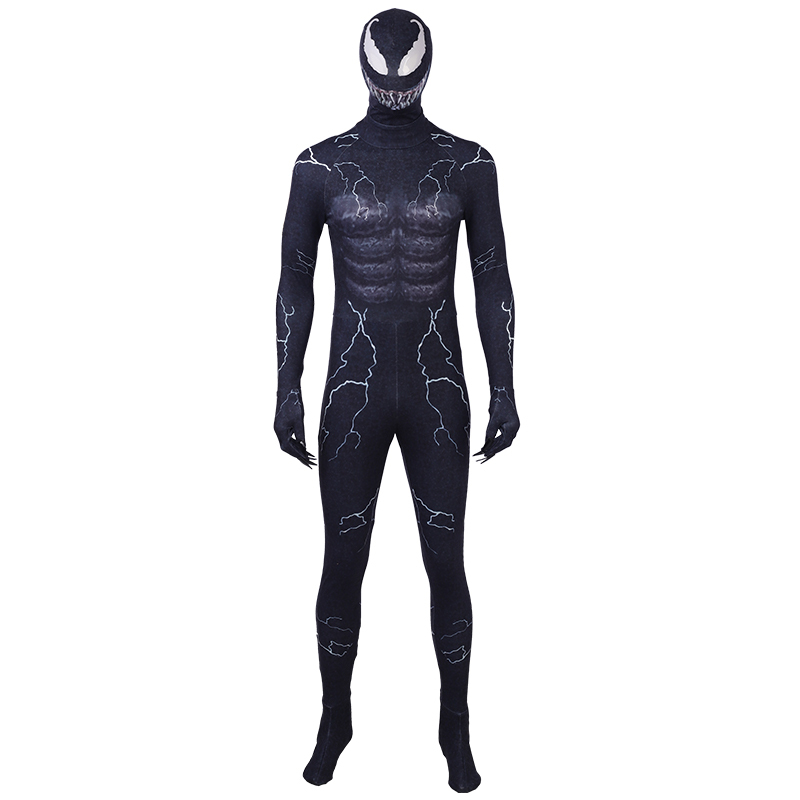 The Venom cosplay costume is also so awesome. The new movie Venom premiered in Los Angeles on October 1, 2018, and was theatrically released in the United States on October 5, 2018. The firm received generally negative reviews from critics for it's script and inconsistent tone, although some praised Hardey's performance. Despite this, it has grossed over $822 million wordwode, becoming the fifth highest-grossing film of 2018 and set several box office records for the month of October. 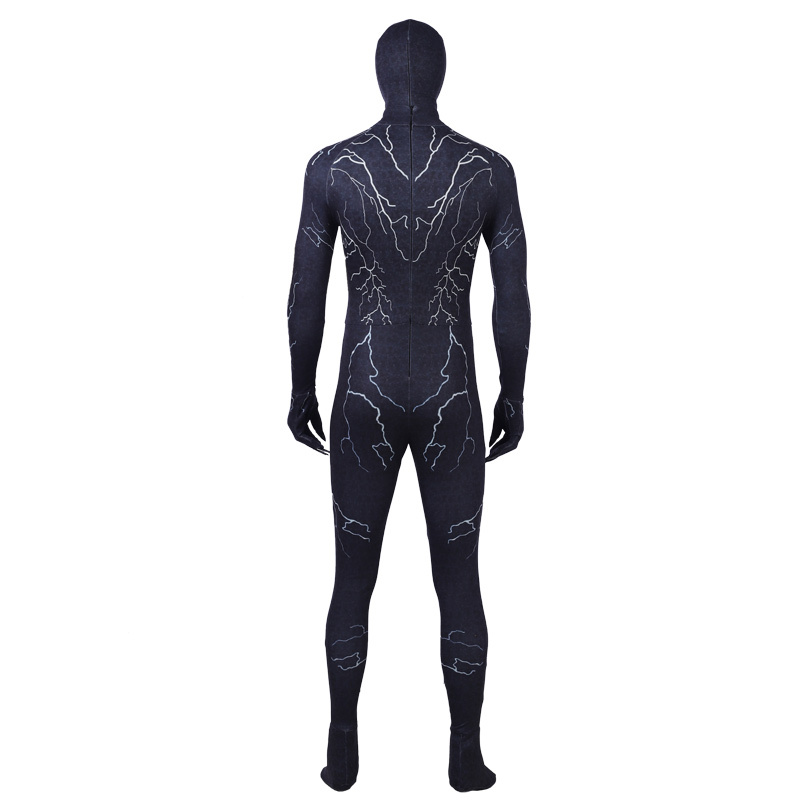 The Venom cosplay costume designned by cosplay007.com is similar to the original. The components include jumpsuit and mask. The teeth part is using print. There is no real teeth on it. And the eyes use flexible glue. This is made by moudle. And the shoes part is socks connected with the jumpisuit. It's very easy and comfortable to wear the costume. The whole outfit only cost about $46 in standard size. It's worth the money! Get more information go to the cosplay007.com. Here you can find what you want!! !